"We cannot afford production downtime caused by tearing of the steel strips. The web tension units delivered by BLH Nobel have worked perfectly over the years and provide a decisive advantage for uninterrupted operation of the system." Our customer is a leading manufacturer for steel strips in Germany. In their highly modern hot-dip galvanizing system, steel is treated in the low- and high- temperature ranges with rapid cooling and over-aging. This allows the hot-dip galvanizing process to reach a completely new quality standard at a very high speed. 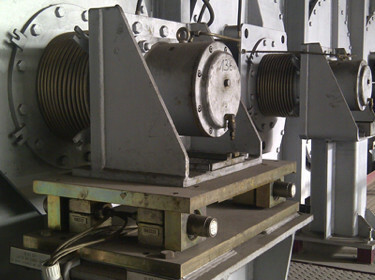 To achieve the process speed of 150 m/min maximum, it is essential to precisely monitor and control the strip tension. 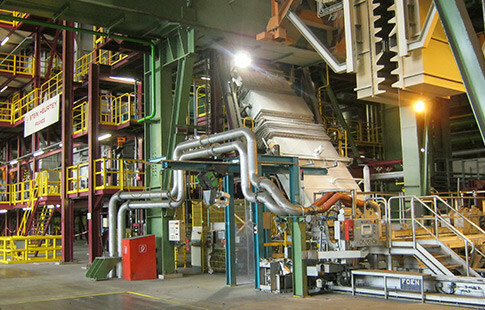 BLH Nobel delivered a solution for monitoring and controlling three roll units. The measurement equipment consisted of our proven and tested PST strip tension units, each with four installed load cells (KIS-2), in combination with customized AST-3P force measuring amplifiers. The measured forces are transmitted digitally to the existing process control system so corrections to the force and direction can be monitored and controlled, significantly reducing the risk of tears in the steel strips. This application was implemented at several locations within this processing line.